Many of us whizz our way to the relatives’ for the holidays, carrying with us a plethora of electronics. Sadly, on arrival, we find that our cousin canceled cable service because of cost, snow downed a DSL drop, or mom and stepdad’s new house in the woods is in a cellular coverage shadow—no LTE nor even a sketchy EDGE signal to be found for miles! What can you do? Prepare before you go for the worst-case scenario. There have never been more options for acquiring high-speed Internet access even when a feed isn’t convenient. That counts for your old family home or a hotel. Personal Hotspot lets your other devices piggyback on your iPhone's data conection. iOS lets you tether via USB, or connect wirelessly via Bluetooth or Wi-Fi. Bluetooth requires pairing, so that your computer or other iOS device first prove their respective identities to each other. Wi-Fi uses a password, which iOS helpfully prefills to something strong. You can change it, a good idea if you’re going to share the connection temporarily and don’t want others to connect to it automatically in the future. Tip: The Wi-Fi connection turns off if it’s not used within a short period of time. You have to toggle Personal Hotspot off and on to connect once that happens. And another tip: Personal Hotspot only works with WPA2 Personal encryption enabled, and some much older devices (pre-2004, typically) won’t be able to connect. You can combine two kinds of sharing while charging your phone or tablet: use USB for the connection, and then, in Sharing preferences, turn on Internet Sharing over Wi-Fi. 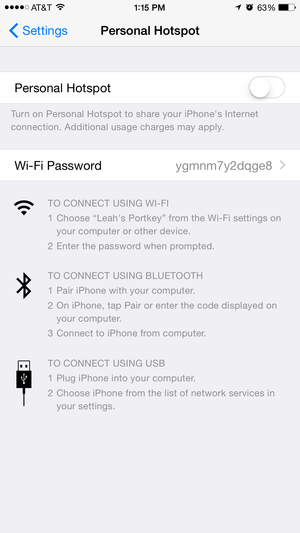 Select Internet Sharing, then choose iPhone or iPad USB from the Share Your Connection From Menu, and check the Wi-Fi box in the To Computers Using list. Finally, check the box next to Internet Sharing. Click Wi-Fi Options to set a strong password. Personal Hotspot is included in all current major carrier plans, but because these plans also include bandwidth limits after which you’re charged more or throttled, be sure to disable high-bandwidth background activities that could accidentally run up charges. File sync systems like Dropbox and cloud-based backup are two big culprits. You can still use mobile broadband without relying on your phone or tablet by opting for a mobile hotspot. This is especially useful if you want to provide access to multiple people, such as members of your family, without being tied to any one person’s hardware. The MiFi was the pioneer in this field, and you may still hear mobile hotspots referred to generically by that name. But now there are many brands to choose among. Carriers offer them directly—AT&T offers three LTE-capable models, for instance, along with both contract-free and subsidized options, down to $0 with a two-year plan. Modern mobile hotspots typically have a battery life around 10 hours, although they can be used while plugged in at a house or hotel, too. Many have touchscreens for configuration, but all newer units at least have an LCD display showing status and data consumed. 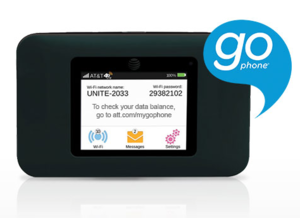 AT&T's GoPhone mobile hotspot doesn't require a contract. If you already have a data plan with a carrier, you can typically add a mobile hotspot as another device for $20 per month, and tap into your existing bandwidth pool. You can also buy GSM-based unlocked, contract-free hotspots from Amazon and others, sometimes under $50 for older but capable 3G/3G+ models. These units work on AT&T and T-Mobile’s network in the US (and most networks in the rest of the world), but you need to obtain a SIM and add the device to a plan to use it. If you’d like to bypass service plans altogether, you have a couple good options in the US. Virgin Mobile, a division of Sprint, offers only no-contract usage plans with BroadbandBand2Go. (Virgin Mobile uses Sprint’s 3G and LTE networks when you’re researching service areas.) After purchasing a hotspot from the company—it currently offers only the NetGear Mingle Mobile Hotspot—you can then pick short-term service plans. Virgin Mobile charges $5 per day with a cap of 250 MB. Monthly plans run $25 for up to 1.5 GB and $55 for up to 6 GB. The unused bandwidth expires at the end of the period. If you use up the bandwidth before the duration of the plan, you can simply pay to purchase another plan. AT&T also offers a pay-as-you-go mobile hotspot with LTE support. Its plans are $15 a week or $25 per month for up to 250MB of access, and an extra $10 for each 100MB unit during those periods. A $50 monthly plan includes 1.5GB, and runs $10 per 500MB units above that. As with Personal Hotspot use, beware background high-bandwidth-using software, lest your allotment be sucked up and you are charged many overages. Your parents opted for broadband, but the modem is at one end of the house, and your childhood room, where you’re crammed into a bed a foot too short for you, is at the other. Alternatively, you’re now sleeping in the basement with wedges of concrete between you and an upstairs Wi-Fi router. The AirPort Express is portable enough to bring along, and it can turn a wired connection into a wireless one. The newest AirPort Express has two ethernet ports, so you can connect it to an existing broadband modem, if that modem has LAN (Local Area Network) ports available. 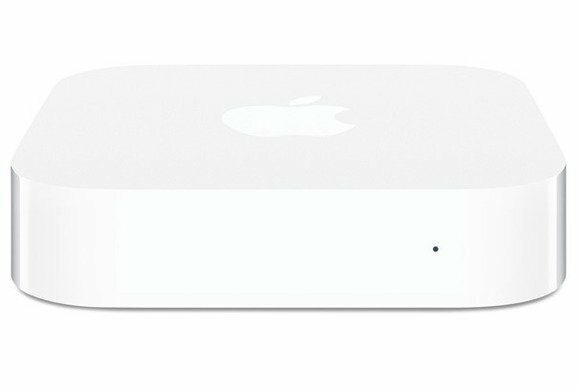 Bring an extra ethernet cable, and plug the LAN port of the modem into the WAN port (a little halo of dots) on the AirPort Express. Many modems come with a single LAN port, however, and that one might be occupied by a wired computer, smart TV, or other devices. This requires a bit more planning. Online stores offer 4-port or 5-port 10/100 Mbps ethernet switches for around $10. Grab one of those and bring *two* ethernet cables. Unplug the ethernet cable from the modem’s LAN port, and plug that into any available slot in the switch. Now run one cable from the LAN port on the modem to any port on the switch, and another from any port to the AirPort Express’s WAN port—identified by a little halo of dots. Opt for the electrical system: But what if, as in our speculative case, the modem is at one end of the house and you want to curl up at the other, and the signal won’t reach? Try powerline networking, sometimes sold as HomePlug or other marketing names. This technology pushes networking mojo over home electrical wiring. Because the signal is carried on a particular power phase—don’t ask, it gets way too complicated—you can only expect outlets that share the same circuit breaker to carry the signal efficiently. Other outlets might work at a fraction of the maximum speed. However, that lower speed likely exceeds the Internet connection’s rate. Powerline adapters like these from TP-Link can extend a wired connection to any room in the house. Prices on powerline adapters have dropped to ridiculously low levels in recent years, so if you avoided this option in this past due to cost, you can take another look. A pair of adapters with one or more ethernet ports on each end costs from $35 to $60 with maximum potential rates of several hundred Mbps. 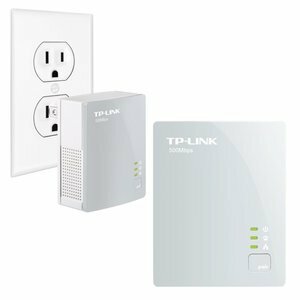 For $20 to $30 more, you can pair an ethernet powerline adapter with a Wi-Fi powerline adapter, and pump out wireless signal anywhere on the same electrical network. Remember to pack ethernet cables and potentially a switch (see above) to connect to the broadband modem. If your Mac doesn’t offer ethernet, get Apple’s USB ethernet adapter (10/100 Mbps) or, for newer Macs, Thunderbolt to Gigabit ethernet adapter (10/100/1000 Mbps) for $29 each. Subscribers to several cable networks, including Comcast’s Xfinity and Cablevision, have access to hundreds of thousands of Wi-Fi networks around the US. Originally, Cablevision and then other cable operators installed their own hotspots in urban areas. Because most cable operators are exclusive in their markets, the big ones allow other companies’ customers to use their hotspots, too. 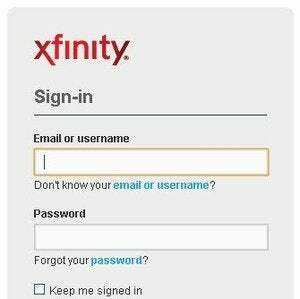 After connecting to a cable-company hotspot, you should be prompted in a browser or pop-up Wi-Fi login screen to enter your account information. Once you’ve logged in, you should never need to do so again, anywhere! The network stores your computer’s unique Wi-Fi adapter’s numeric identifier in its database. Avoid these charges entirely through a Personal Hotspot or mobile hotspot as described earlier. (Hotels cannot block your Wi-Fi usage, though some try.) But you can also often get this pricey Internet service for free. Sometimes, just asking at the front desk will get you a free code for one or more nights. In other cases, opening an account with the hotel’s free affinity program before a visit will add wireless access at a free or reduced rate. The Points Guy, a site for rewards-savvy travelers, has a reasonably up-to-date accounting of each major American hotel chain, and what you need (if anything) for free service. One of the joys of travel is supposed to be breaking your routines. It’s true that many employers want you to stay connected even when taking time off, but if you can’t make your internet access work, consider taking this as a sign. It may be time to slow down and hit the off button. Glenn Fleishman, Macworld’s security and privacy columnist, once owned a 110-baud modem. He misses it still. He’s the author most recently of Take Control of Your Apple Wi-Fi Network, with details covering Mac OS X and iOS. You can find him on Twitter @glennf.